アーティスト artist ex SMAP member 香取 慎吾（1977年1月31日 – ）は、日本のタレント、司会者、声優、歌手で、男性アイドルグループSMAPの全活動期（1988年 – 2016年）のメンバー。株式会社CULEN所属。 2017年 – GQ MEN OF THE YEAR 2017・インスピレーション賞 KATORI Shingo (born 31 January 1977) is a Japanese actor, singer, television host, radio personality. 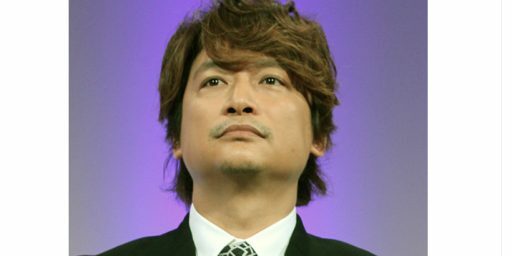 He was the youngest member of SMAP, the best-selling boy band in Asia. After the group’s disbandment on 31 December 2016, Katori has been pursuing his solo career. He left Johnny & Associates on 9 September 2017, together with two other SMAP members, Goro Inagaki and Tsuyoshi Kusanagi and entered CULEN, a Japanese talent agency. On 22 September 2017, they launched a new project, “atarashiichizu” (“新しい地図”, meaning “New Map”) as their common fan site, supported by various Japanese leading creators. Since then, Katori has been extending his activities also into artistic fields. ジャン・ピゴッツィ・コレクション会田誠安倍晋三稲垣吾郎草彅剛香取慎吾カルーゼル デュ ルーブルルーヴル美術館嘘つきの香取慎吾：「パリのルーブル美術館で個展を開かせてもらえることになりました。」 Liar KATORI Shingo: "I Have a Solo Exhibition in the Louvre Museum"